Feral Brewing’s latest limited release in their “Brewpub Series” pours a slightly hazy golden colour with a fluffy white head that hangs about. 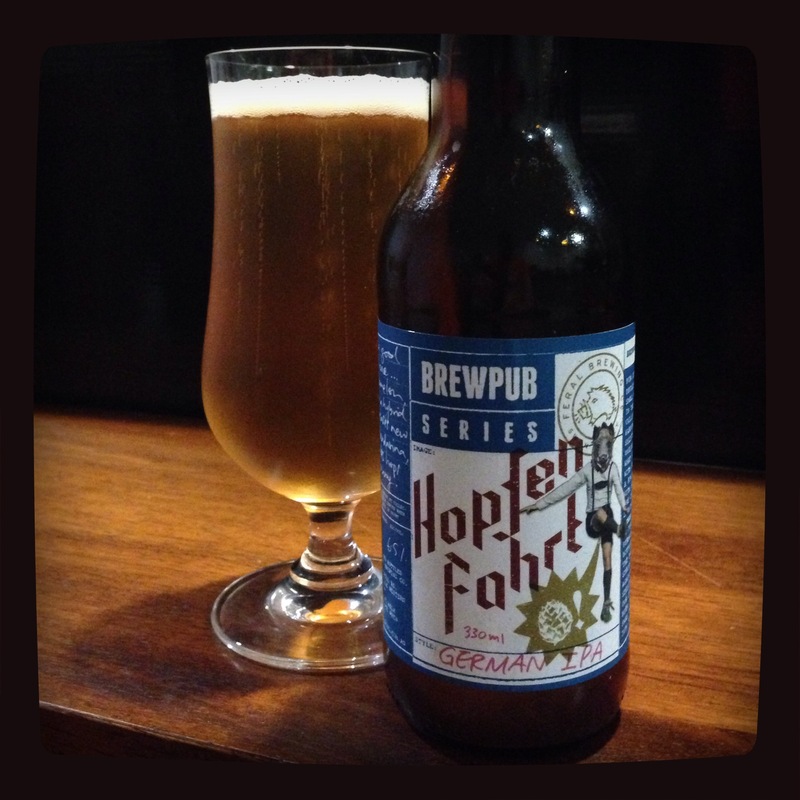 A dose of German hops gives a fruity, floral aroma. Got a good nose to this beer. Taste is unique; it has a bitter finish with citrus flavours and a sweet aftertaste. Brewery – Feral Brewing Co.